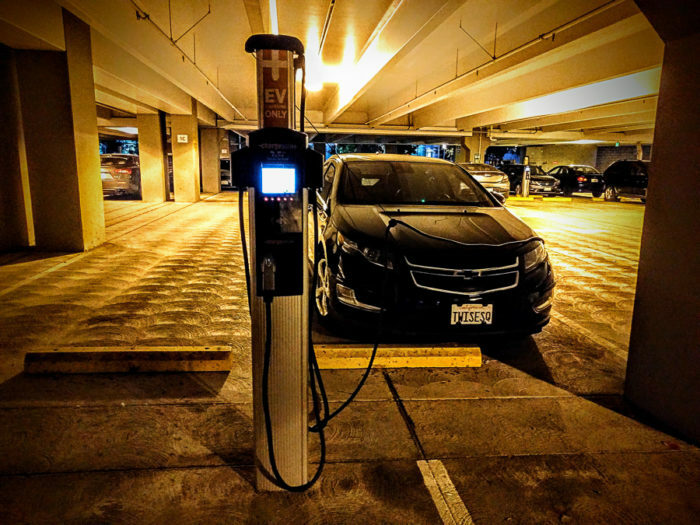 An electric vehicle charges in a parking garage in Sunnyvale, California. Charging stations for apartment dwellers are rare, which may be a barrier to electric vehicle sales. Americans have now purchased more than , counting both plug-in hybrids and all-electric models. That may sound like a lot of EVs, and it is a that were on the road in 2010. But this is still , despite the recent availability of EV models like the . 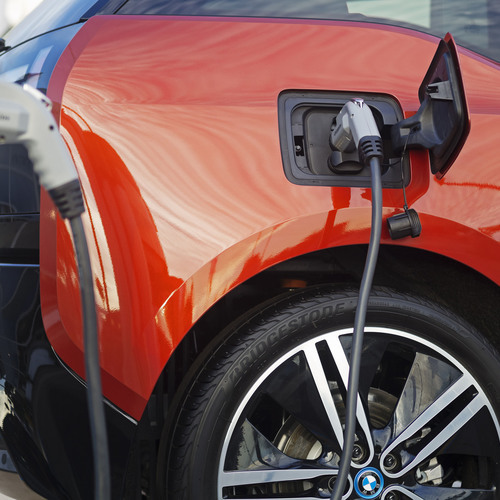 Policymakers nonetheless see EVs as having great potential to and other forms of pollution, and are supporting tax credits and other policies to encourage people to buy EVs. California, for example, aims to have on its roads by 2030. But to meet ambitious goals like that, EVs will need to stop being a niche product and appeal to as many drivers as possible. I am an working on transportation policy, and I’ve looked at newly available data to try to understand why people purchase EVs. It turns out that renting a home may be one of the biggest barriers. New show that homeowners are more than three times more likely than renters to own an EV. And since U.S. households — 37% of all households — rent their homes, it is worth thinking hard about why this gap exists. By analyzing the Transportation Department’s newly released 2017 data, I found striking differences in EV ownership between homeowners and renters. In California, homeowners are three times more likely to own an EV than renters. You might be thinking that this gap is caused by income. It is true that EV ownership is , which is only natural since than comparable gasoline-powered vehicles (although than filling a tank). But I learned that homeowners are more likely than renters to own EVs, even when they have similar income levels. For example, among households earning between $75,000 and $100,000 per year, 1 in 130 homeowners owns an EV, compared to 1 in 370 renters. The other big difference between homeowners and renters is having a place to park. Most homeowners have a garage, a driveway, or both. That makes charging extremely convenient for them because they can charge their vehicles at night. It’s not so easy, however, for many renters. Renters are more likely to live in multi-unit buildings and parking spots may not be assigned, or there may not be any parking spots at all. The federal data don’t provide any information about parking availability, but this likely helps explain the disparity between homeowner and renter EV ownership rates. There is also the related question of charging equipment. For homeowners, it is relatively straightforward to invest in a , electric panel upgrades, and other improvements to speed up charging. These investments can cost $1,000 or more, but are a good investment for a homeowner planning to stay put. This quandary is what economists call a . In theory, a landlord could make investments like this, and then charge higher rent to recoup the cost. In practice, however, this can get complicated. Even if the current tenant has an EV, the next tenant may not. And if future tenants don’t have EVs, then they won’t need — or appreciate — having charging equipment handy. Several studies, including work by , show that renters tend not to value the energy-related investments their landlords make. California policymakers are well aware of these challenges and that is a big reason why they are investing heavily in charging stations. 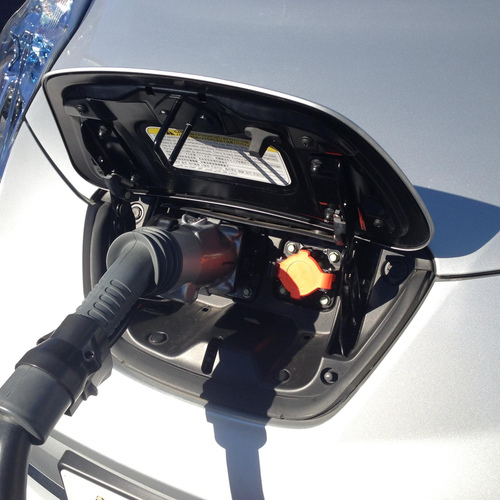 The state is spending to bring 250,000 charging stations statewide by 2025. Each of these stations will support several EVs, so this will make charging much easier for EV owners. Much of this funding will cover the cost of building charging stations in communities with a lot of renters. 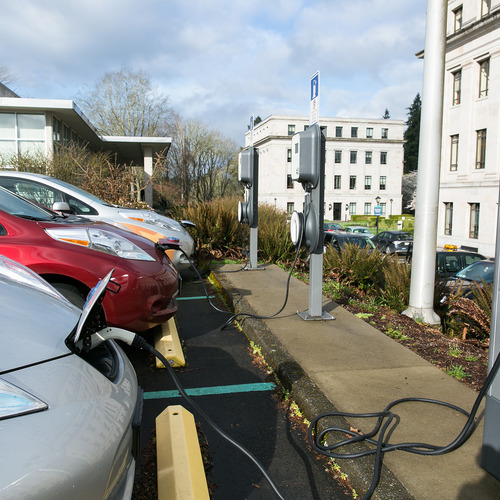 The big utility Pacific Gas & Electric, for example, is making a high priority as it builds thousands of new charging stations across the state. 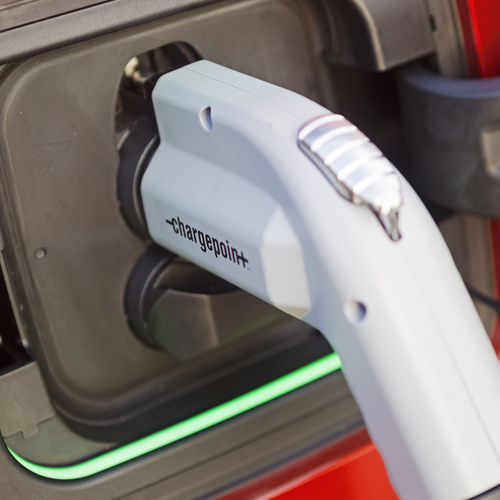 As this charging infrastructure grows, the EV market is bound to expand as well. While writing this article, I searched on the for rental listings in San Francisco and could find only four apartments that mentioned EV charging as an amenity. Tesla is quietly pushing destination chargers,when you go to a grocery store, mall, restaurant, movie sports event or other location and plug your car in and an hour or two later its charged when your leaving. The idea is say once a week you charge your car somewhere your going anyways and its not inconvenient, in a sense an analogue to filling your gas tank once a week. But this is a bit of a culture change required. But you are correct that it makes sense homeowners make easier adopters, but this problem is solvable in a variety of ways, states can "lease to own" chargers for landlords or anybody for that matter, apartment buildings can install some chargers with incentives or again lease to own and new buildings can have building code updates mandating them, chargers can be installed in many lamp posts, hotels can add chargers, perhaps again with lease to own, and the aforementioned destination charger plan. I don't see this as an insurmountable problem but it is one that should be worked on, but right now supply is the problem not demand. Add in an EV for every segment (from compact to pickup truck to RV), ample supply and the already upcoming next oil price shock and EV demand will explode.